Negombo (Sinhalese: මීගමුව, translit. Mīgamuva, Tamil: நீர்கொழும்பு, translit. Nīrkoḻumpu) is a major city in Sri Lanka, situated on the west coast and at the mouth of the Negombo Lagoon, in Western Province. Negombo is the administrative centre of Negombo Division. Negombo has about 144,551 inhabitants within the city limits. 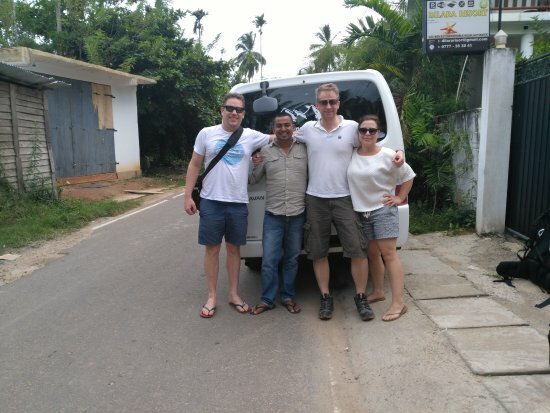 It is approximately 35 km (22 mi) north of Colombo. 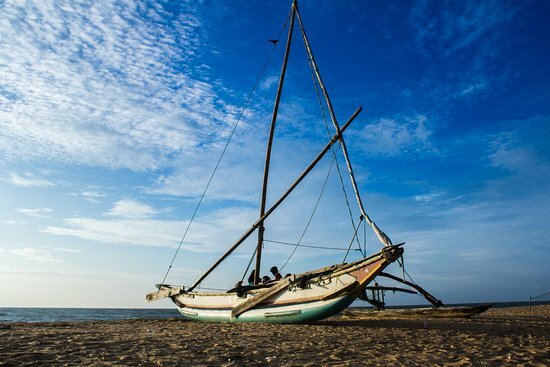 Negombo is known for its centuries old fishing industry. Katunayake (කටුනායක in Sinhala, கட்டுநாயக்க in Tamil), is a suburb of Negombo city in Western Province, Sri Lanka. It is the site of Bandaranaike International Airport or Colombo Airport, the primary international air gateway to Sri Lanka. With the change of government in 1977 and the introduction of the open economy policy a large area was allocated to create a free trade zone (currently known as the Export Promotion Zone). This created a large amount of job opportunities for the local youth and has contributed substantially towards the country's economy.